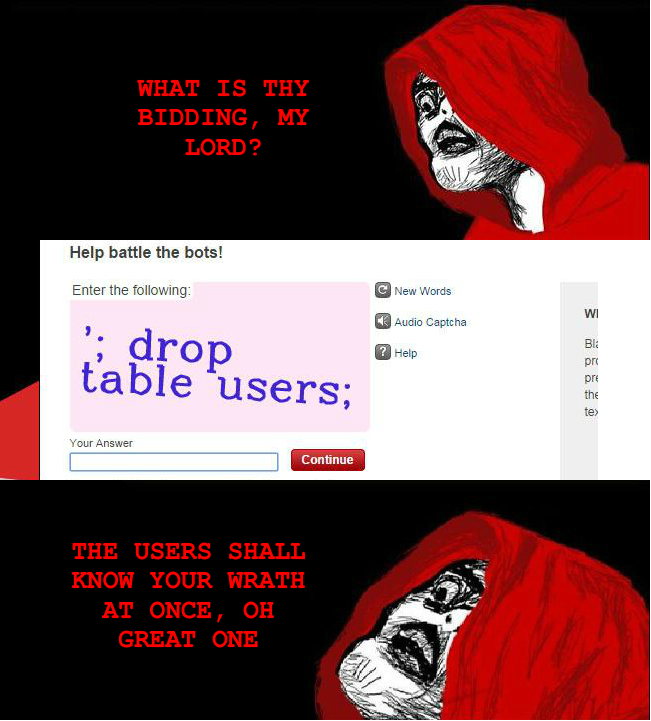 Thanks to Andy Hawken for tweeting the unbelievable - a SQL injection CAPTCHA. What's next, a NOP sled CAPTCHA? Come to think of it, XSS CAPTCHA might be more likely.